Altitude sickness is the major problem when you are trekking in Nepal. It occurs when travels or trekker has been unable to adaptive to place to place where they have climbed. As altitude increases, the level of oxygen decreases (only half of oxygen is noted above 5000m such like in our Everest Base Camp Trek and Annapurna Circuit Trek). During the trekking, trekkers will feel that their breathing increases with decrease in oxygen. If they continue trekking without taking a rest, they might be victim of Altitude Sickness. Altitude Sickness happens when fluid collects in cell around the body as the result of failure to acclimatize. More deadly result can be happen when fluid builds subsequently in the lungs and brain. Need more sleep than normal often 10 hrs or more. Vivid, wild dreams at around 2500 – 3800 meters in altitude. Need to rest your breath frequently while trekking above 3500 meters. 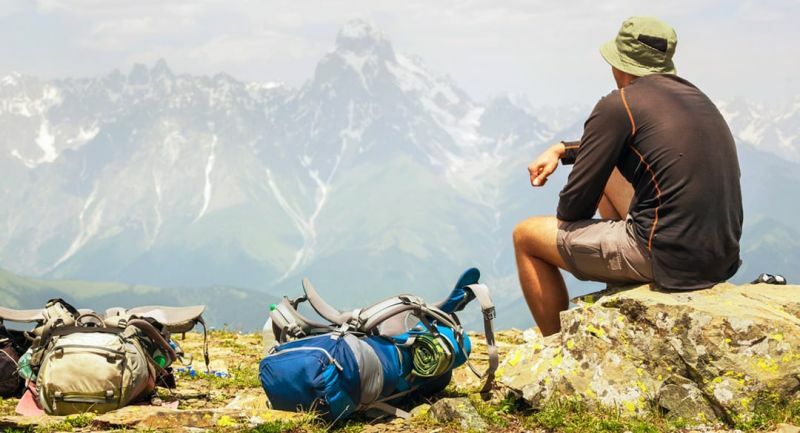 Dizziness and increase in urination while moving to higher altitudes (this is good sign). Recognize the early symptoms of altitude sickness when you have them, and note that you might be the only person suffering with Altitude sickness in a group. Never ascend to the new altitude for rest when you have symptoms of Altitude Sickness. Descend to the lower altitude, if you are getting worse with the Altitude Sickness at the same altitude. Allow sufficient time for acclimatization above 3000 meters. Drink as much possible fluids at least 3-4 liters a day, clean water-boiled or tea, coffee, soup, juice etc. Try to be in group while trekking and take guide or porters along with. Always follow the advice from guide, hotel, local people and guide book. Following are the essential ailments that afflict trekkers. These things are necessary to carry along with while trekking to higher altitude zone. Trekking with groups, expeditions and trekking to isolated area will require more comprehensive kit. Diamox is generally useful for mild to moderate AMS. Dexamethasone is a very potent steroid used in HACE temporarily to facilitate descent. This drug improves the symptoms but does not help acclimatization. It is not recommended to ascend while still taking this drug even if one is symptom free. Dosage: 4 mg every 6 hours. Nifedipine is useful in HAPE by lowering pressure in the pulmonary blood vessels and thereby decreasing fluid in the lungs. This drug also lowers blood pressure. Sildenafil (Viagra) is increasingly being used in treating HAPE. Oxygen is very useful particularly for HAPE. Prev PostWhat are the Entry Fees for tourists in various places in Nepal? Next PostHow to Stay Safe when snowstorm strikes?